Also: Two #BFFs having fun with eye makeup are better than one. When it comes to makeup, trust is a big word and something that takes a while to earn. To whose eyes and hands would you entrust your face? Another consideration: what products will you allow to be used on your eyes? 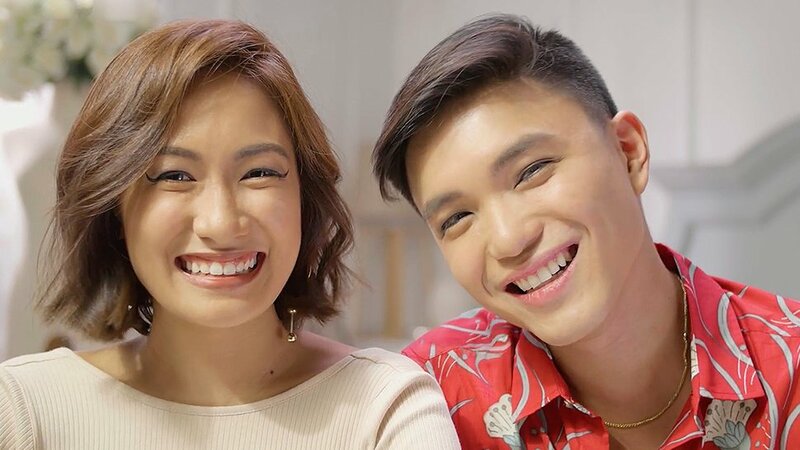 Long-time BFFs Laureen Uy and Sean Go put their friendship—and mutual trust—to the test by doing each other’s makeup for the first time. Leaving each other’s final looks to the eyes and hands of the other, they attempt to get past each other’s uncertainties. (Exhibit A: Laureen does not usually allow anyone else to touch her lashes and Exhibit B: Sean has only discovered the magic of makeup very recently.) To make things fun and less stressful for both BFFs, they were given Revlon ColorStay Créme Eye Shadow, Revlon ColorStay Liquid Eye Pen (Ball Point), and Revlon Ultra Volume Mascara to play with. While the results of the makeup challenge are less than picture-perfect—it was a game of dare, after all—Laureen and Sean picked up two valuable insights along the way: that the products they used are worthy of the names ColorStay and Ultra Volume, and prettifying oneself is more fun when done with a trusted friend.